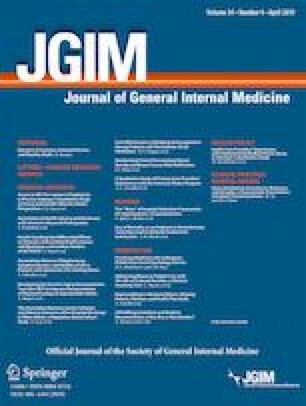 Coaching is emerging as a novel approach to guide medical students toward becoming competent, reflective physicians and master adaptive learners. However, no instruments currently exist to measure academic coaching at the undergraduate medical education level. To describe the development and psychometric assessments of two instruments designed to assess academic coaching of medical students toward creating a robust measurement model of this educational paradigm. All medical students in the 2014 and 2015 cohorts and all their coaches were invited to complete the instruments being tested, which led to 662 medical student responses from 292 medical students and 468 coaching responses from 22 coaches being included in analyses. Medical student response rates were 75.7% from 2014 and 75.5% from 2015. Overall, the coaches’ response rate was 71%. Two 31-item instruments were initially developed, one for medical students to assess their coach and one for faculty coaches to assess their students, both of which evaluated coaching based on definitions we formulated using existing literature. Each was administered to two cohorts of medical students and coaches in 2015 and 2016. An exploratory factor analysis using principal component analysis as the extraction method and Varimax with Kaiser normalization as the rotation method was conducted. Eighteen items reflecting four domains were retained with eigenvalues higher than 1.0 for medical students’ assessment of coaching, which measured promoting self-monitoring, relationship building, promoting reflective behavior, and establishing foundational ground rules. Sixteen items reflecting two domains were retained for the faculty assessment of coaching with eigenvalues higher than 1.0: the Practice of Coaching and Relationship Formation. We successfully developed and psychometrically validated surveys designed to measure key aspects of the coaching relationship, coaching processes, and reflective outcomes. The new validated instruments offer a robust measurement model for academic coaching. The online version of this article ( https://doi.org/10.1007/s11606-019-04888-w) contains supplementary material, which is available to authorized users. The authors gratefully acknowledge Patrick Chung, BS, and Elaine Waller, BS, for their assistance with data capture and management. This work was supported by Dean’s Office at Oregon Health & Science University, an Accelerating Change in Medical Education Grant from the American Medical Association, and the Research Program in Family Medicine at Oregon Health & Science University. All research activities related to this study were reviewed and approved by OHSU’s Institutional Review Board (IRB no. 10873). Deiorio MN, Carney PA, Kahl LE, Bonura EM, Miller-Juve A. Coaching: A New Model for Academic Achievement. Med Educ Online 2016, 21(1): doi: https://doi.org/10.3402/meo.v21.33480 (Accessed 12/19/17_. Rahn M. Factor Analysis: A short Introduction, Part 3 – The difference between confirmatory and exploratory factor analysis. Making Statistics Make Sense: https://www.theanalysisfactor.com/confirmatory-and-exploratory-factor-analysis/ (Accessed 11/19/18).